The Willow Creek Hunting Camp is a sportsman's retreat, secluded, private and full of hunting opportunities. The Willow Creek Hunting Camp is just that, a retreat from the rigors of life and is a secluded haven for the avid hunter and sportsman. 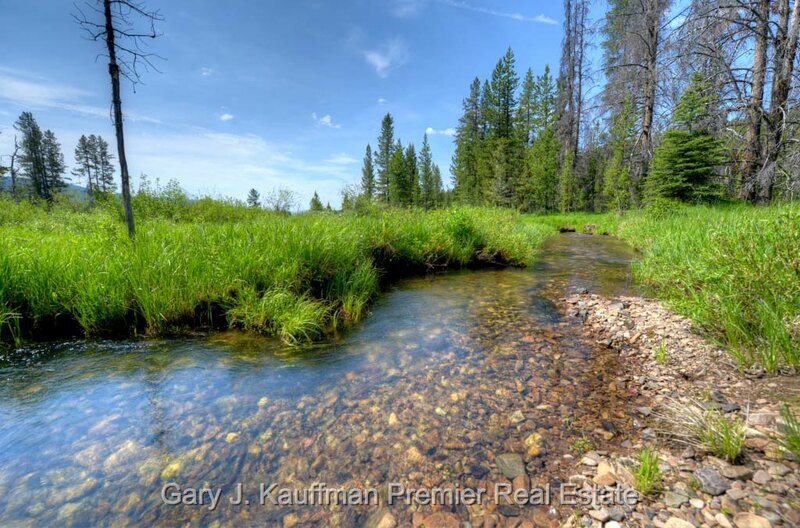 The property is some 114 acres with picturesque Upper Willow Creek meandering through the meadow. The large meadow is an important food source and the surrounding forest provides cover and security to the wildlife that inhabits the area. Included is a log cabin that the owner has just remodeled with a new roof, new front deck, new flooring, windows, door, and new staining. Sit on the porch and watch the abundant wildlife. The area abounds with moose and elk. The cabin sits on the edge of the wood line overlooking the scenic meadow. 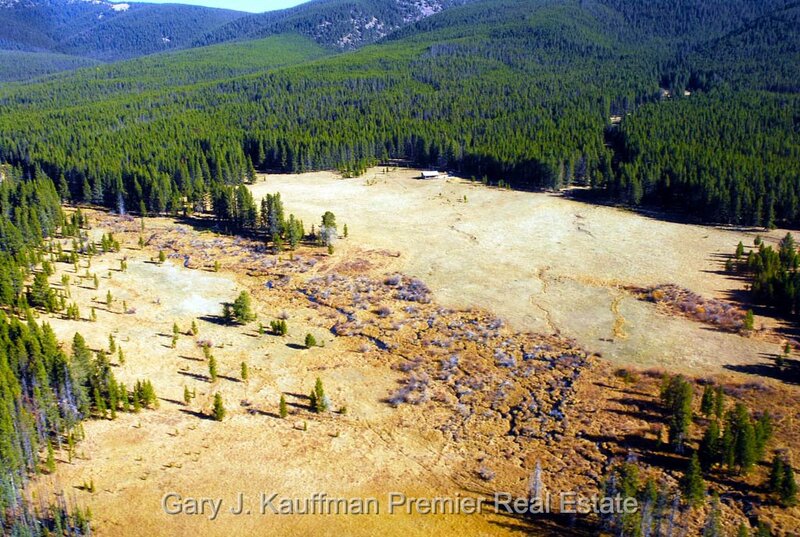 The property is primarily all in meadow and pasture. The property is located in Granite County, Montana, one of the most prolific production areas of trophy elk is the State. The historic town of Philipsburg, with all its charm and character, is only 27 miles away. The sportsman's cabin is in a broad and scenic valley in the Willow Creek Drainage. Sitting on the deck of the cabin provides an environment for one's own musings and thoughts. This site would be a tranquil setting for the artist, photographer, nature lover, or sportsman. 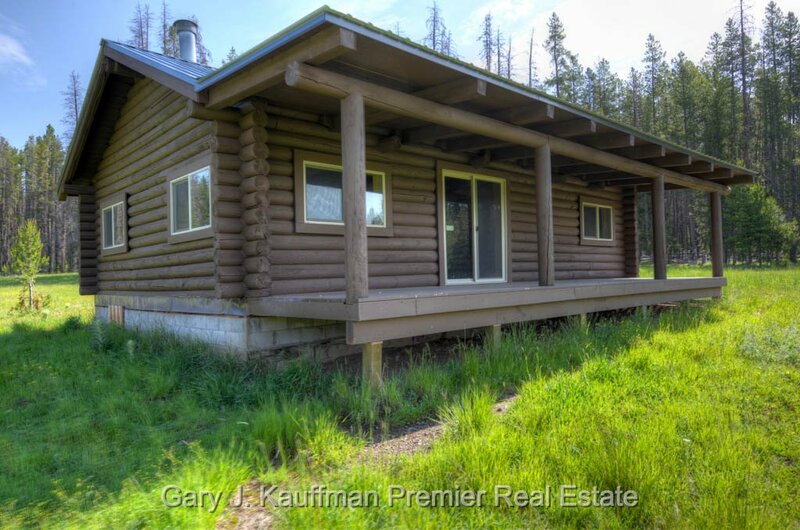 The property is surrounded on three sides by the Deerlodge National Forest and has views of Sandstone Ridge. The Willow Creek Cabin does not have a well, septic, and electric. There is a water right for up to 100 GPM and you can see the right here. The property is accessed by a county road. The cabin is a sound and comfortable cabin for hunting, fishing, or just a retreat from the rigors of a stressed-filled world. The property is being offered at a substantial discount from that which the owner paid a few years ago. To get to the property proceed west on Rock Creek Road, Route 348 from Philipsburg, for about 12.3 miles. At Willow Creek Road, County Road 88, turn right [north] for about 13 miles to the property. Please refer to the links to the right to see additional photos, maps, and to download other resources. If the links return to this page we do not have media uploaded yet. Of course we welcome your call to get further information.